Sailun Tires Are a PTPA Winner! Are Your Tires Dependable? Have you heard of Sailun Tires? 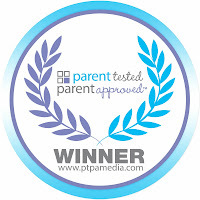 I recently learned of them when they were given the PTPA Winner seal from Parent Tested, Parent Approved. So I read up on them online, and found that they are lauded as a high-performing tire, selling at about half of the price of the big brands. Their motto is "With You Through Every Turn", and they strive to build quality tires that are safe, and gentle on the pocketbook. Having good tires is so important, especially in the harsh Canadian climate. Our tires endure snow, ice, mud, dirt, rain, rocks and gravel, and more. And as Canadians, not all the roads that we travel on are paved, which means a dependable tire is essential to get us safely to our destination. As a family of 7, with 5 young kids, safety is always on my mind. Just this winter, we were driving through a local intersection after we had received the green light to go. The traffic in the opposite direction had been stopped for about 5 seconds. As my family and I navigated through the intersection, suddenly a car that was supposed to be stopped raced toward our car and was about to hit my family at great speed. I saw this unfolding in the passenger seat and let out a cry to my husband, who also saw the rogue driver. Although the road was wet and icy, my husband was able to veer around the car so it never hit us. It took me a few moments to realize that the car was never hit, and that my family was okay. I was shaken by the incident, but it did prove to me that safety on the road is a combination of many things, including: driving on the defensive, other drivers and obstacles, passengers and pedestrians, weather, your car and your tires. Change any of the variables in this equation, and your outcome could become different. Tires should not be overlooked, and I'm glad that we chose a good set of tires for our car--especially when it mattered most. Did you know that Sailun Tires is having a Summer Track Event on June 12th in Brampton, Ontario? I'm excited to be going, and will report back all the great things that I'll see there! Do you have a good set of tires for your vehicle? What is your dream car or truck?Disclosure: As a Brand Ambassador with PTPA and Sailun Tires, I received compensation for my participation. However, all opinions expressed on this blog are my very own. Wow! That's a very scary situation to be in.good thing you had a good set of tires and a good driver to save you. Thanks for sharing your story. Wow, my heart is beating fast just reading what could have happened to you and your fam if your husband wasn't the amazing driver he is! So glad you're all okay! *hugs* I don't have a car, but if I do eventually decide to get my license and a vehicle, I'll remember the importance of quality tires that do their job for sure! Aeryn Lynne, so glad we made it through safely. Wow! Glad you were all ok! We sure had a nasty winter in Ontario for driving. To be honest, I had never heard of Sailun tires until I read your blog. I will definitely keep them in mind for when I need new tires! Sandy, it's interesting how most only think of tires when they fail you. winter driving in Canada can be scary! everyone needs good tires! Agreed Mom vs. the boys! Good winter tires are a must in Canada and I will be checking this brand out when we replace our winter tires. Monica, with our weather tires should be taken seriously. Rice Krispies Brown Rice Cereal is Gluten-Free! EPIC Film Review: Leafmen, Boggans & Stompers! Speedo Canada: What to Wear This Summer! Top 10 Gifts for Mother's Day for 2013! EPIC Movie Coming May 24th & CONTEST (~OVER~)!